EVERYONE SHOULD HAVE ACCESS TO BETTER CHOICES. The majority of coffee cups end up in landfills because their plastic lining makes recycling difficult. Starbucks alone uses 4 billion disposable cups a year, and tax payers are spending to dispose of these paper cups. 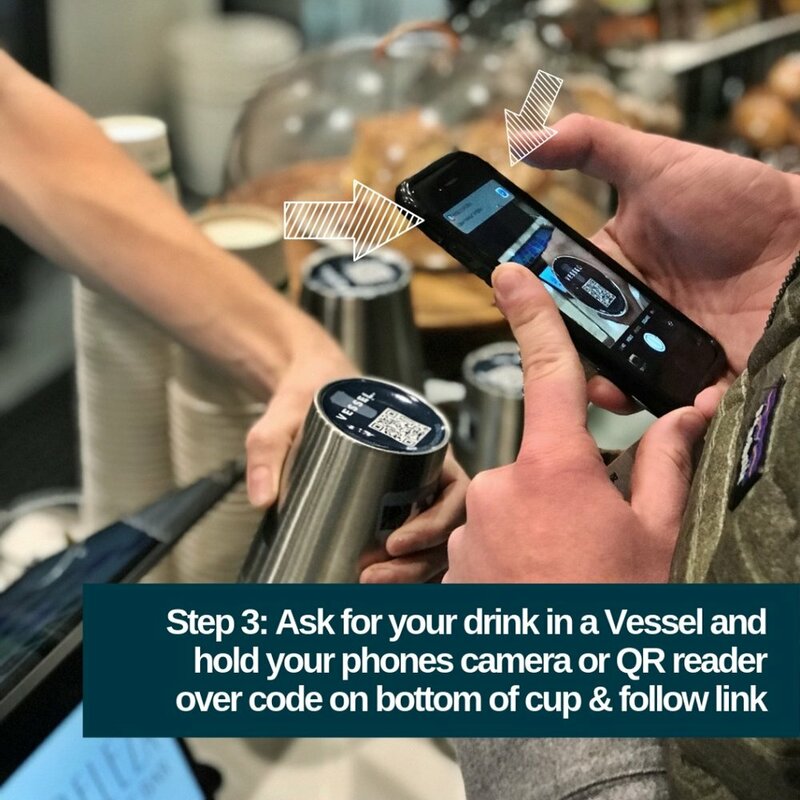 By taking part in Vessel, you divert waste from the landfill, support local business, AND you get a hip sleek cup for free. Vessel offers a better option to disposable cup; come on, they are FREE, stainless-steel and insulated (yup, you can keep your drink hot or cold for hours on end!). Vessel is your free and convenient alternative to the plastic and paper cup, and frankly, they offer good looks and less drip. Sign up and check out today!